Living a Fit and Full Life: Get Your Hands on Beautiful Southwest Decor from Cracker Barrel! Get Your Hands on Beautiful Southwest Decor from Cracker Barrel! Our Striped Ceramic Vase is one of our favorite pieces in the Southwest Ranch collection! Earthy desert colors, a timeless design and handmade look make this vase a truly special find. Fill it with your favorite fresh or artificial blooms, or display it empty - it's gorgeous just the way it is! How will you use our Stoneware Blue Mini Tray? This Southwest-inspired dish features on-trend patterns and bright, earthy colors for a designer look you'll love. Serve small portions and special sweets in style, or spice up your dresser, vanity, entry table or desk with a pretty decorative catch-all for trinkets and jewelry. Add our Red version for a wonderful matching set or a great gift for someone special! Spice up your table with our colorful Stoneware Salt and Pepper Set! 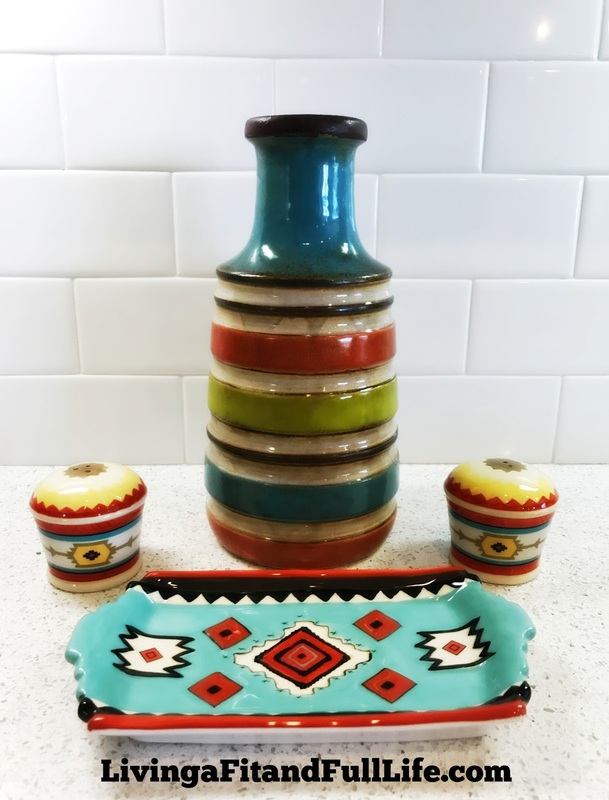 This charming pair of shakers features bright Southwest-inspired colors and patterns to bring a splash of on-trend style to your table. Add our mugs, platter, teapot and more for a fun and coordinated set! Get your hands on beautiful Southwest decor from Cracker Barrel! Cracker Barrel has an amazing selection of home decor but what I love most about shopping Cracker Barrel's Old Country Store is that their decor items are somewhat unique. It's nothing like shopping at a retail store where every other store has similar items. 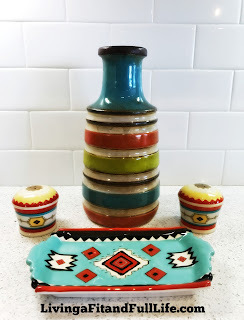 Cracker Barrel's Old Country Store always has items that catch my eye and these terrific Southwest decor items definitely caught my eye. Growing up in Arizona, I'm a huge fan of Southwest decor. It seems like everyone around here has a least a few Southwest pieces in their homes. Cracker Barrel's Striped Ceramic Vase is absolutely stunning and I love how well made it is. This vase would not only tie in well with any Southwest decor but could also go with just about any other home decor. Cracker Barrel's Mini Stoneware Trinket Tray - Blue is extremely pretty! I also love that it can be used for so many things! You can use it to serve snacks on, place your jewelry in on your dresser, by a door to hold your keys and ect. There's so many fun ways to use it! Cracker Barrel's Stoneware Salt and Pepper Shaker Set is also totally adorable! I love all the bright colors and that they'd fit in in just about any kitchen. 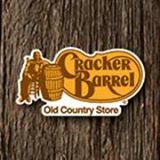 If you're looking for Southwest decor, or any home decor items, be sure to check out Cracker Barrel's Old Country Store! I got the trinket tray, salt & pepper shakers, and a teapot I just love them! I actually use the teapot; the others are mostly just to look pretty.